Why should the big name authors have all the fun? Get creative and communal making your own ebooks and sharing them with family and friends. Great, kid-friendly canvas for publishing ebooks with easy tools for beginners and more complex features to keep older kids exploring and expressing their creativity. 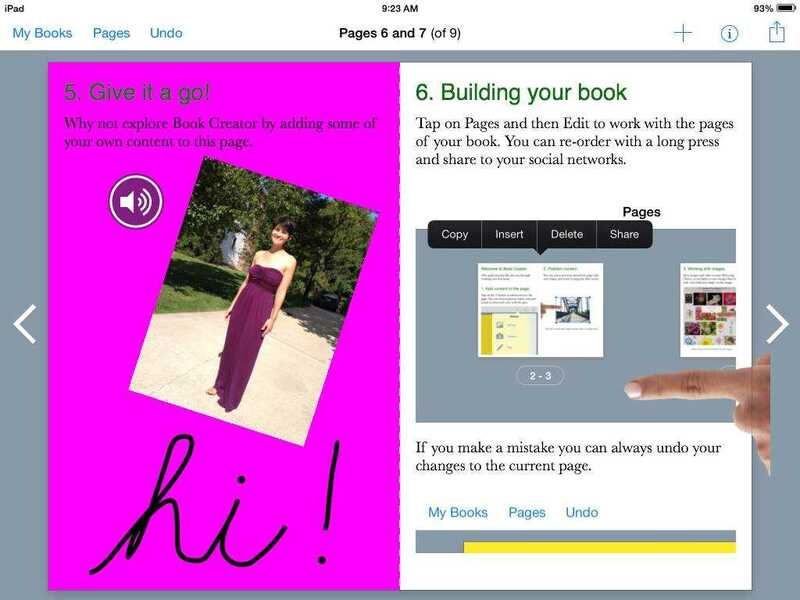 With Book Creator, kids and adults alike can design colorful and personalized books with many exciting features, including photos, videos, sounds, and drawings. When you're done creating your book, you can share it in several formats, so your friends or family can read your book in Apple's iBooks or even watch a video version on YouTube. A tutorial explains the process. If you want to try-before-you-buy, you can create one book as a trial in the free version of the app. Budding authors start by paging through the step-by-step, interactive tutorial to learn how to customize pages and add media. When you are ready to create a new book, you type in a title and choose whether the format will be square, portrait, or landscape. Then, your blank canvas appears -- do you want to add photos or videos, write or draw with a pen, or add a text box? You can also add a recording or sound clip to play when the reader taps on a sound icon, or you can select a song from your iTunes library to add a soundtrack to the whole book or selected pages. The app provides a feature known as the "Inspector" to customize most aspects of each page, such as the color of background or the size and font of the text. You can easily drag the text or media to a different place on the page, rotate or resize images, and you can always undo if you make a mistake. 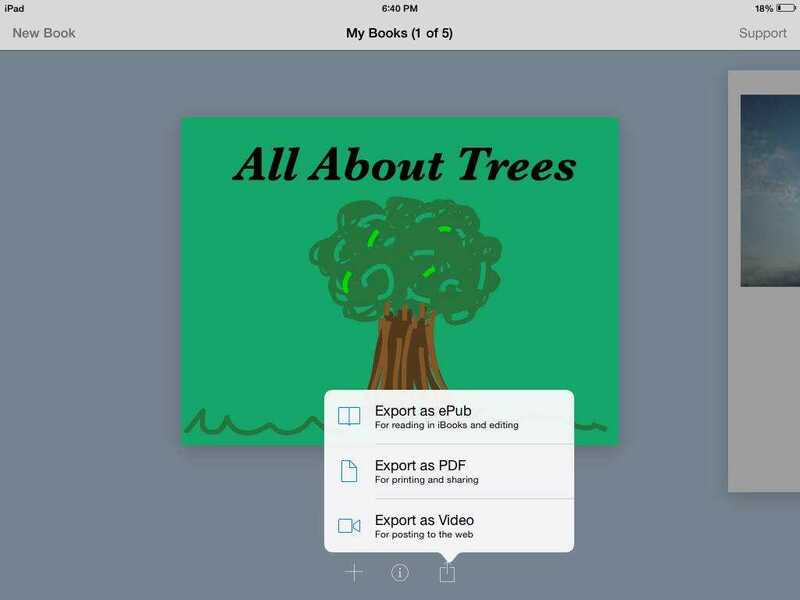 After putting the finishing touches on your pages, you can export your book in ePub, PDF, or video formats. You can print your book, view it in iBooks or other ebook reader apps, or even watch it displayed as a video on YouTube. For more ideas and guidance, click on the Support link from the "My Books" page. Book Creator strikes the right balance of being intuitive enough that kids can make books on their own while also including a wide range of customization features for more advanced creators. With just a little guidance from parents or by reading the interactive tutorial, kids can add media and then resize, rotate, and move around that media with just with their fingers. As kids get older, they can delve into features like invisible sound icons to surprise their readers, or find just the right hex code for their desired color palette. Best of all, the sharing tools are diverse and seamlessly integrated, so friends and family can easily admire and enjoy your child's work. 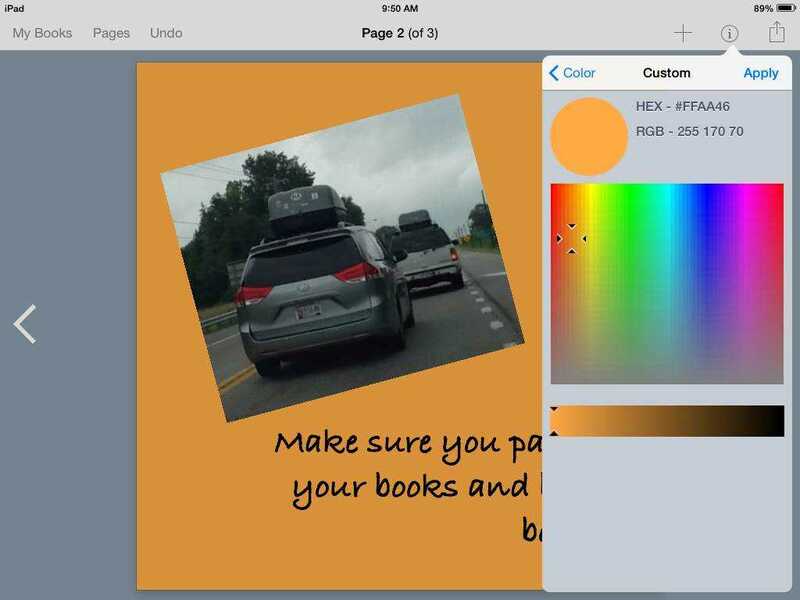 It will be easiest to create books using media you already have on your device -- in your photos, videos, or iTunes libraries -- so make sure it's all kid-friendly! If your child needs images or sound clips from the Internet, be sure to do the searching together. You'll also need to crop or filter any photos before you get started, since there aren't photo editing tools included. 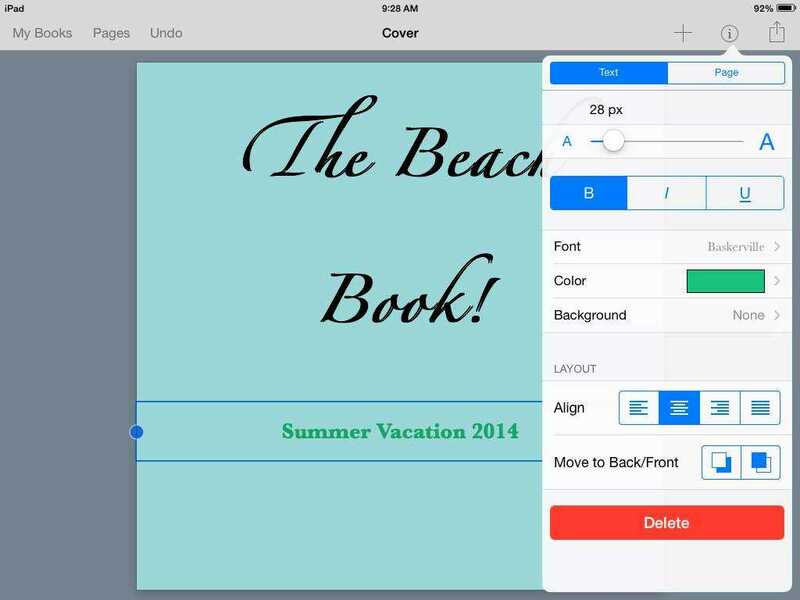 There are a few other features we'd love to see -- like applying a customization to the whole book, or adding a parental gate to the support link to prevent accidental internet access, but overall Book Creator is a winner! The possibilities for making personalized, professional-looking books with this app are nearly endless. 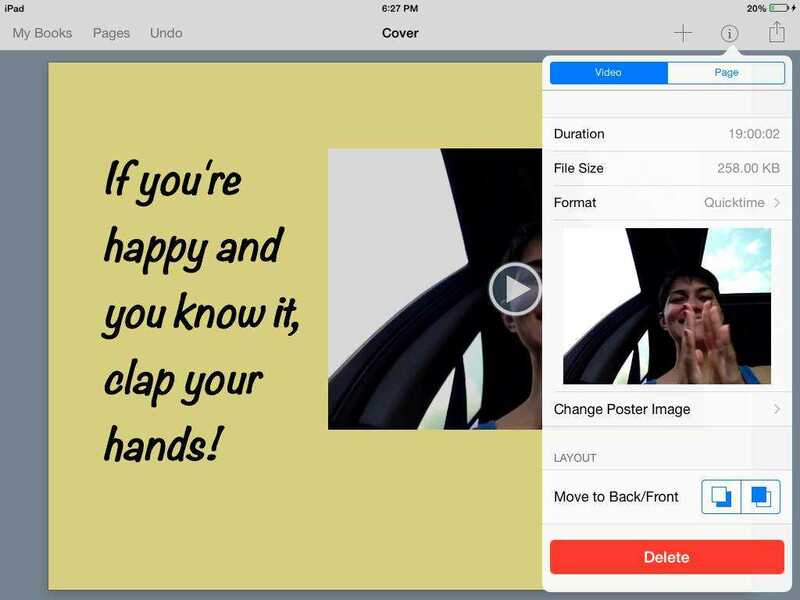 Try Book Creator out for making and sharing photo books to capture memories from summer vacation, or ask grandma to make a book sharing some of the family folklore. You could use it to create a birthday present for a friend or sibling, and when doing so, encourage your child to think about how to tell a story that the recipient would enjoy. In school, creating books on specific topics can help reinforce learning. Younger kids may need help at first since the tutorial is text-heavy, but they will pick up the intuitive steps quickly, so parents might want to join in to make the first book together. Parents, you may find you enjoy this great app as much as your kids! 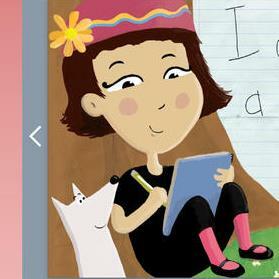 This Book Creator app review was written by Liz K. McKinney.